Most miners wear face protection, which may include a respirator. 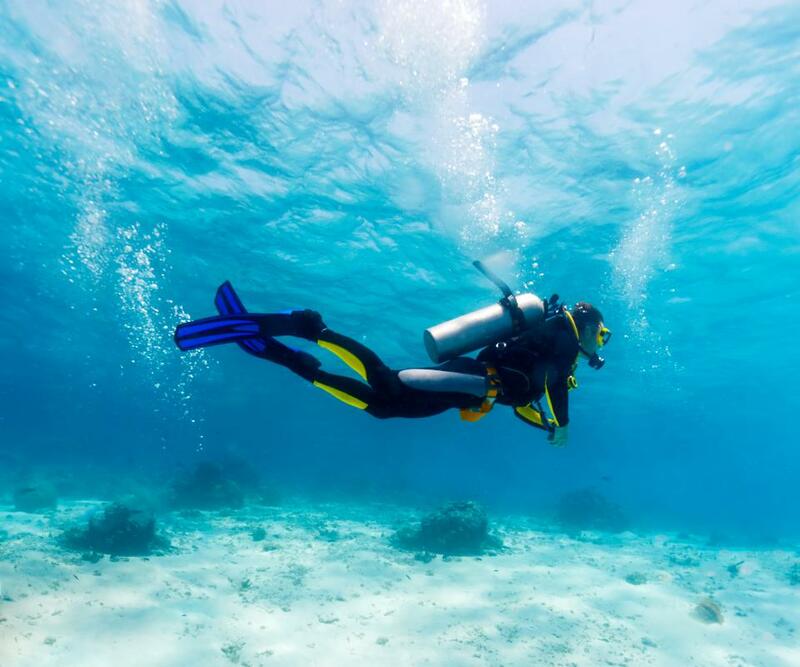 Scuba divers often rely on a type of powered respirator. A powered respirator is a device worn on the face or over the head which draws air through a filter to be inhaled by a person. Most respirators have a mask that fits snugly over the face and forms a seal against the skin, which permits the air to be pushed into the mask by a fan. Respirators come in a variety of styles, which grant the wearer mobility and provide air that will not harm the lungs. Most respirators permit workers to move around in areas that would be inaccessible without the breathing aid. A battery pack, usually attached to a belt, powers a fan that pulls air in through a filter and pushes it through a tube to the mask. The powered respirator mask might cover the lower half of the face, the entire face, or the entire head. The latter usually uses a hood to provide coverage. Some powered respirators with hoods are assembled with a hard hat or frame inside, which protects the wearer and keeps the hood in place. This prevents the hood from slipping and blocking visibility in work areas. A powered respirator permits a worker in a construction area to breathe easily. Sawdust, stone powder, and other contaminant particles can choke the air and prove harmful when inhaled. Many full-face mask designs provide a protective shield to cover the eyes. 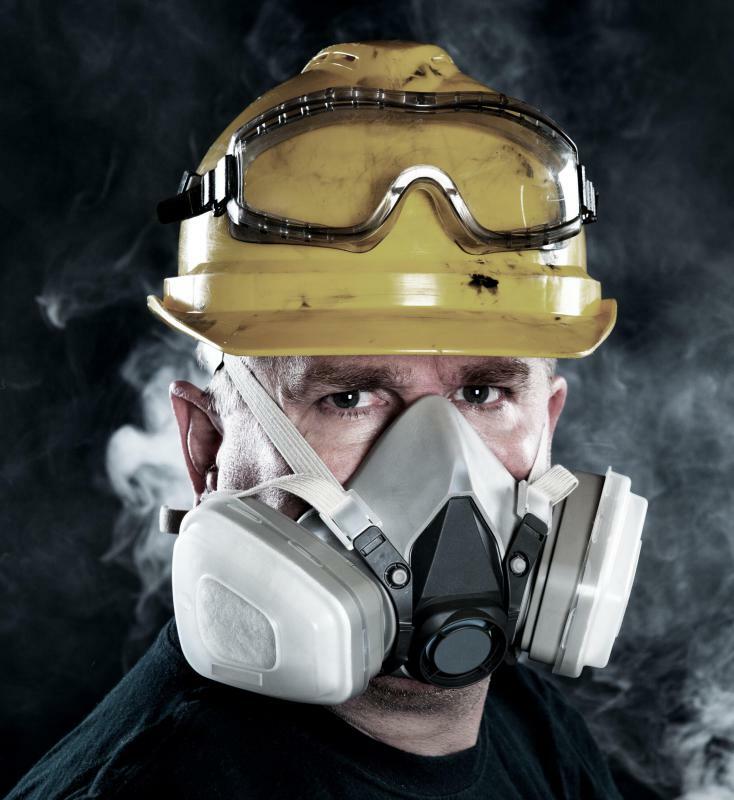 Some respirators contain canisters that absorb specific contaminants, such as smoke. As the air is pushed through the filter, the contaminants are trapped in the canister while breathable air passes through. Some respirators use a supply of air stored in tanks. The air is pushed from the tanks through long tubes into the respirator mask. This powered respirator is often used in areas with a high risk of hazardous contamination or very little breathable air. Miners, medical researchers, and scuba divers often use these types of respirators to minimize the risk of infection and asphyxiation. Jobs that require use of liquid compounds, like spray-on paint, may also use an airline respirator. This powered respirator pulls clean air from another room and pushes it through a long tube that attaches to the mask. The respirator can provide a disadvantage, however, because it limits some range of mobility. Disposable respirators can often be discarded after one or more uses, though most powered respirators are good for multiple uses and are manufactured for durability. The respirators can also prevent lung strain and damage via the steady stream of cool air. This air stream can also serve to cool the skin in high-temperature environments. What is a HEPA Respirator? What is a Half Mask Respirator? What is the Difference Between a Respirator and a Ventilator?